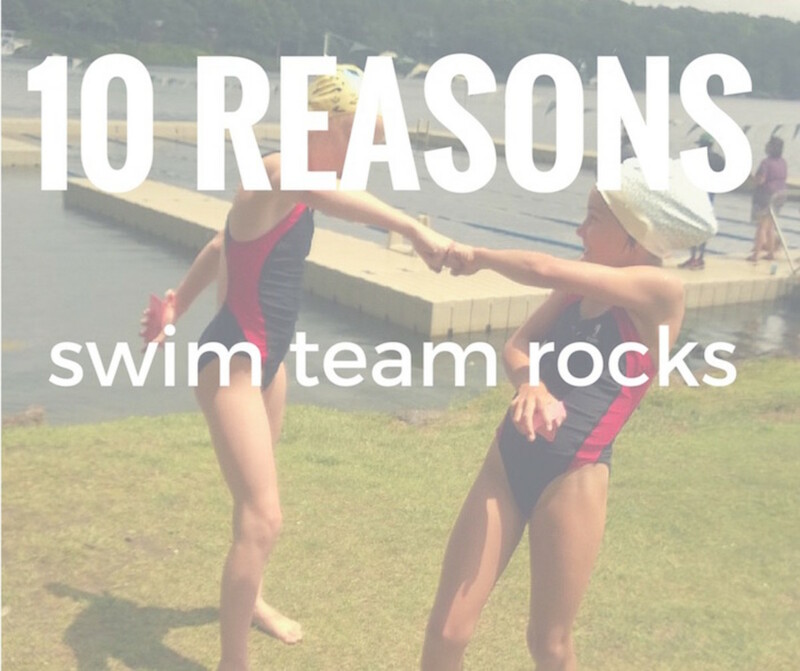 Ten reasons why you&apos;ll find us near a lake or a pool each day! I wear many hats in my life--wife, mother, CEO. One of my favorite hats to wear is my sun hat. Because I&apos;m a proud swim team mom. I grew up swimming (need proof, check out these pictures of my childhood swim team) and it helped form my love of water and became my favorite way to stay fit through two pregnancies. Slicing through the water with ease and speed just feels great. I wanted to pass along my love of the sport to my kids. That&apos;s why I found a local swim team (to find your local swim team head to this post all about swimtoday.org). While the setting is idyllic, the time commitment comes at a price. I have to work 8 hours somehow--during swim season, I stay up late to get it all done and give my kids the joy of swimming and my FULL attention as they race. 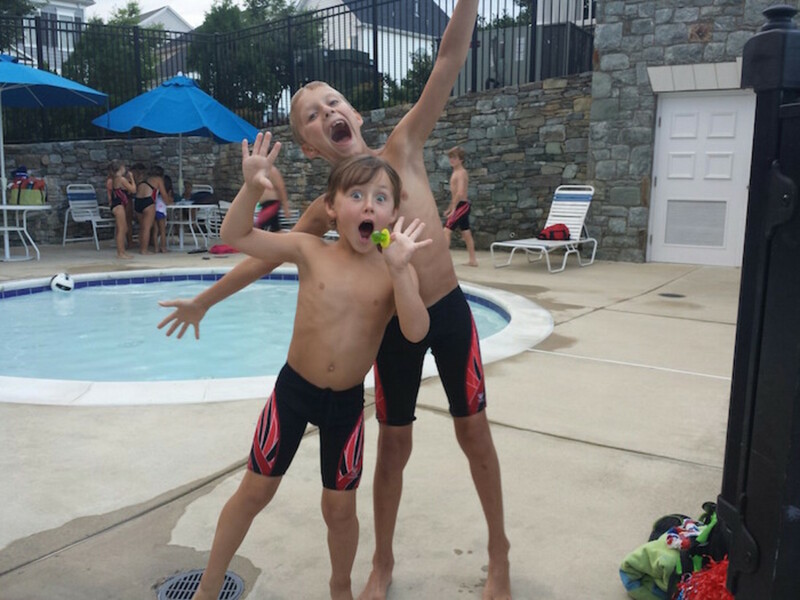 As any swim mom will tell you, race day is a big deal. Why make the effort? Aren&apos;t lessons enough? Isn&apos;t it sufficient to just give kids the capacity to swim proficiently? Yes. And no. Lessons are a must and everyone deserves to know how to swim. But there&apos;s so much more your kids will get from being on a team and here&apos;s why we do it every year. Low cost: Your local team is likely eager to welcome your family. Most local YMCA&apos;s have low-cost family options, as do neighborhood pools. For the most part,they are all non-profits looking to do a community service. The uniform is pretty inexpensive. Add some goggles and a cap and D.O.N.E. Sport for life: My dad is a masters swimmer. He&apos;s 73 and still racing. What an inspiration! 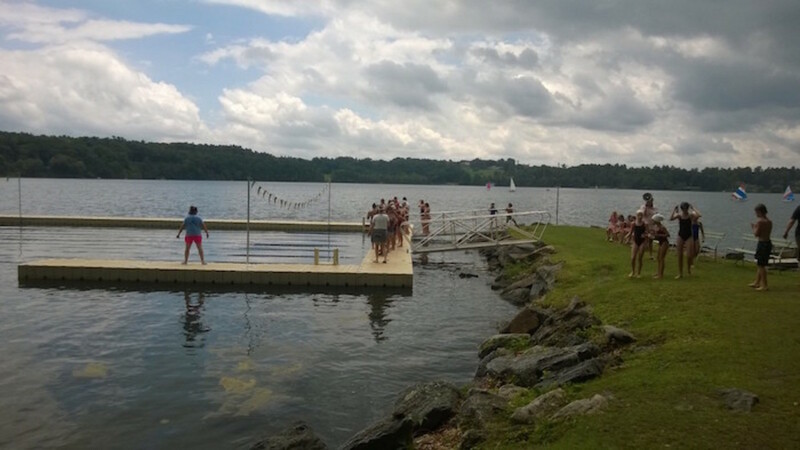 Most teams will also take your little ones once they can finish a 25 yard swim. 5-75--we like that age range. Injury free: See above! 73! And when I hear about friends with kids on the football, hockey and lacrosse teams getting concussions, I wince. Brains matter. My kids might get the occasional bug bite or splinter from the deck, but no one is "decking" them. Best volunteering ever: Give me the job as timer any day. I get to cheer for wee ones trying to finish a 25 yard swim and stand in the sun. Best. Job. Ever. Girls and boys working together: There are few coed sports out there. My girls are getting to the age where the sexes tend to self-segregate. Swim team brings them together. Team Atmosphere: As soon as on of my girls finishes and event, she&apos;s right back on deck cheering her friends. Mixed age groups: The little ones cheer the older ones and vice versa. It&apos;s a great way for tiny kids to have big heroes. Discipline: At the beginning of the summer, my 10 year old struggled to complete 25 fly, now she&apos;s placing in the top three in the IM. All from time in the water. With each week the times get faster and faster. Even if the girls don&apos;t get first, second, or third, we can cheer the fact that they are improving. Practice really pays off. No screens involved: In our never-ending quest to limit screen time and encourage fitness, this is a fun way to get moving and get outdoors. Ribbons! This needs little explanation! Don&apos;t take my word for it. I&apos;ve got other "swim mom believers." Audrey McClelland--Swimming is a way of life in our family. I was a competitive swimmer growing up, so it was important for me to get the kids in swimming early because I thought it was just a really good life skill. 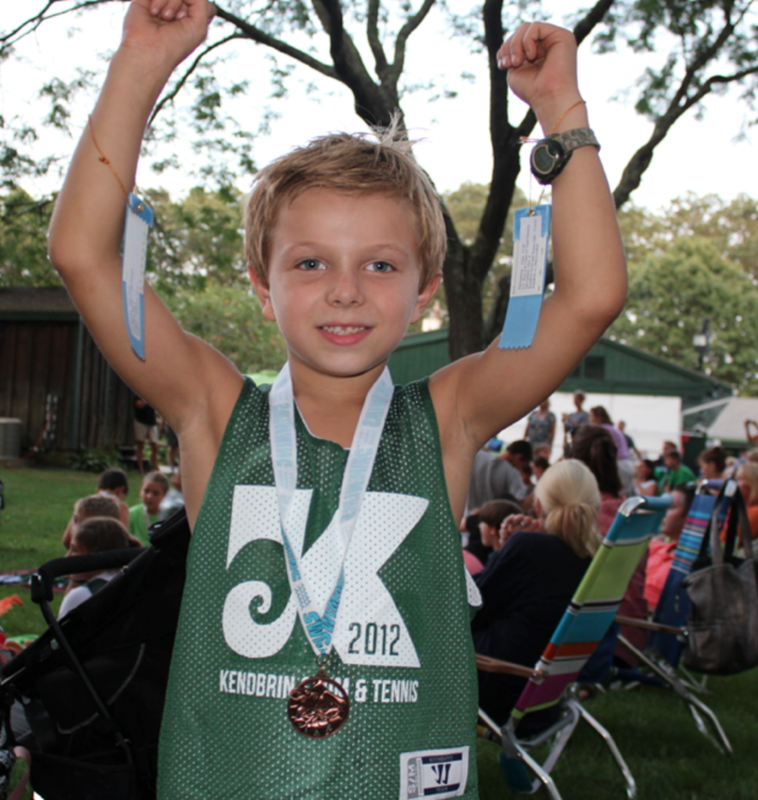 My oldest son William took to swimming like a fish at the age of 5 years old. Immediately I loved the team spirit, the exercise and the routine that swimming gave William. As the years have gone by - all 4 of my sons are now competitive swimmers - they swim 4/nights a week and compete year-round. It’s funny, even my daughter at 2 years old knows how to do a streamline and kick her feet! As a swimmom, I love everything about swimming. Trying to improve week to week. We’ve all become involved in swimming. It’s the kind of sport that can be done indoors and outdoors. Pools or lakes. 2-lane pools or 10-lane pools. The health benefits it gives my children is also something that I love about swimming. They work hard in the water and every muscle is used and it’s wonderful to see a no-impact sport have such amazing benefits to their bodies. For end of season fun, check out Mom Generations post here. Molly Gold -- From the camaraderie among swimmers that spans each and every age group to the send of community among the parents ~ God bless our timing, cheering, feeding, cleaning, waiting hearts!!! ~ our experience has been there is no better way to spend the days of summer. Our swim team community is based in a neighborhood that is full of kids who attend our daughter&apos;s school so it really feeds all kinds of social needs because she swims with friends and friendly faces from school and gets to socialize all summer long. Also once the kids turn 11 they can serve as a Big Whale ~ catching our youngest swimmers at the end of their adorable 15 runs ~ which just creates all kinds of precious and admiration, training our littles friends from the very first year to be a good friend and teammate first and always. Click here for Molly&apos;s Swim Team Survival Guide. Amy Mascott--Summer swim has been a staple for our family for the last six years. Ever since my daughter joined the pre-team the summer before Kindergarten, we’ve spent the first seven weeks of summer camped out at the pool in the mornings and have spent our Wednesday nights and Saturday mornings at swim meets and Sunday afternoons at dive meets. I cannot highly enough recommend that kids join a summer swim team. It’s an absolute must for families for so many reasons. If you’re on the fence about it, I’m here to do what I can to push you in the ‘yes!’ direction. 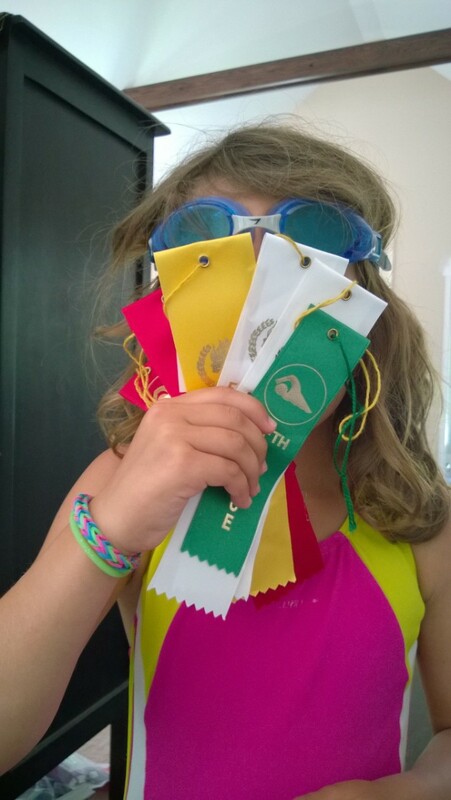 Click here to see what to do with those swim team ribbons. Are you a swim mom? I&apos;d love to hear about it! This is not a sponsored post. A huge thank you to my blogging friends for contributing to this article.